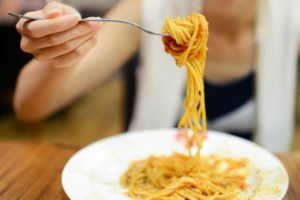 Well, it’s no secret that eating traditional wheat pasta, especially non-wholemeal, isn’t the best option if you want to maintain low postprandial blood glucose (BG) responses – important since repeated postprandial hyperglycaemia 1 is an early abnormality of glycaemic control 2 associated with type 2 diabetes 3 . Basically, if you don’t want to help yourself to diabetes, then avoid helping yourself to too much white flour in bread or in pasta. Frequent consumption of whole pulses, the edible seeds of legumes or pod-bearing plants, including beans, chickpeas, yellow peas and lentils 4 , is associated with a higher-quality diet 5 6 lower body weight 7 and improved markers of long-term glycaemic control 8 . Important for our current investigation, whole pulses lower postprandial glycaemic response 9 10 11 12 13 14 , reduce hunger 13 15 16 17 18 and suppress food intake 13 14 up to 2-6 hours following their intake. 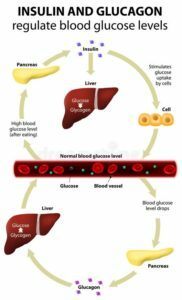 Of these benefits, reduced blood glucose (BG) oscillations are of particular importance 19 . The chickpeas and lentils are dried and powdered into a flour before being made into the various pasta shapes you buy in the shops. But surely this processing affects the fibre structure and hence the ability that the whole beans/pulses had for keeping blood glucose levels relatively stable after meals? apparently not so. 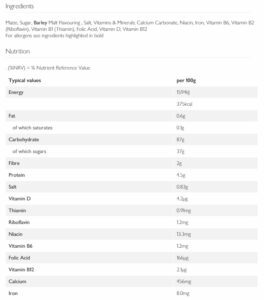 A 2014 study 20 took healthy males and tested whether consumption of these powdered chickpeas and lentils would produce the same blood glucose response as whole chickpeas and lentils. They also compared results with a control group consuming wheat-based pasta. 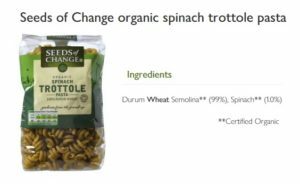 There are some pretend healthier products out there, such as the “spinach trottole” which only has 1% spinach and 99% wheat! Okay, wheat pasta won’t kill you, and there are much worse foods for the maintenance of blood glucose levels – such as white bread. But it’s good to know that you can get some of the well-known health benefits of beans & pulses such as chickpeas and lentils in pasta form – especially when they are so easy and quick to cook and serve. Naturally, the best way to get all the antioxidant power from beans and pulses is to eat them as whole foods. There’s no better way to maintain your health than including whole beans and pulses in your meals every day. 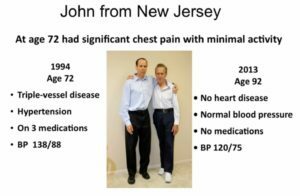 This is why they form part an integral part of Dr Greger’s Daily Dozen 21 . I prefer to soak them overnight then stick them in the pressure cooker for 15-20 mins, depending on the bean/pulse. Then they’re ready to add to any meal or simply act as a snack you can grab from the fridge whenever you’re peckish. A September 2018 review 1 looked at whether the dramatic worldwide increase in cases of type 2 diabetes (T2DM – type 2 diabetes mellitus) could be slowed down if individuals made simple dietary changes rather than seeking solutions through medication. The reviewers note that vegetarian diets are inversely associated with risk of developing diabetes, and this is independent of the positive association of meat consumption with diabetes development. *N.B. This review does not look at WFPB or non-SOS WFPB diets. Oh there’s a big problem, alright. Diabetes has now reached epidemic levels, with an estimated 451 million cases worldwide in 2017 – a number that is predicted 2 to increase to 693 million by 2045. About 90% of diabetes diagnoses are type 2 (T2DM) – all of these appear to be lifestyle-related 3 . 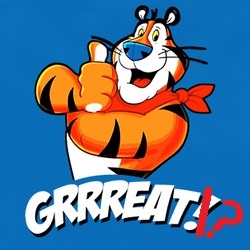 Additionally, the lifestyle factor most linked to improvements in protection against, treatment of and cure for is diet – with the take-home facts being that animal foods encourage whist plant foods discourage T2DM 4 . As countries develop a more Westernised diet (also known as the SAD or Standard American Diet), the rates of diabetes within those countries increases 3 . A diet differing from the typical Westernised diet is a vegetarian one. The results of changing to a vegetarian diet is clear. 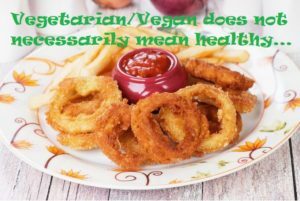 For instance, research 3 shows that vegetarians in the US have a lower prevalence of diabetes than omnivores (that is, those who consume both plant and animal foods, although much more of the latter than the former foods in the case of modern Westernised diets). Other research 5 6 7 8 9 backs up the proposition that a vegetarian diet is significantly better for the prevention and treatment of diabetes than an omnivore diet. People with diabetes have a 2–4 times greater risk of suffering from CVD (cardio-vascular disease) 10 . 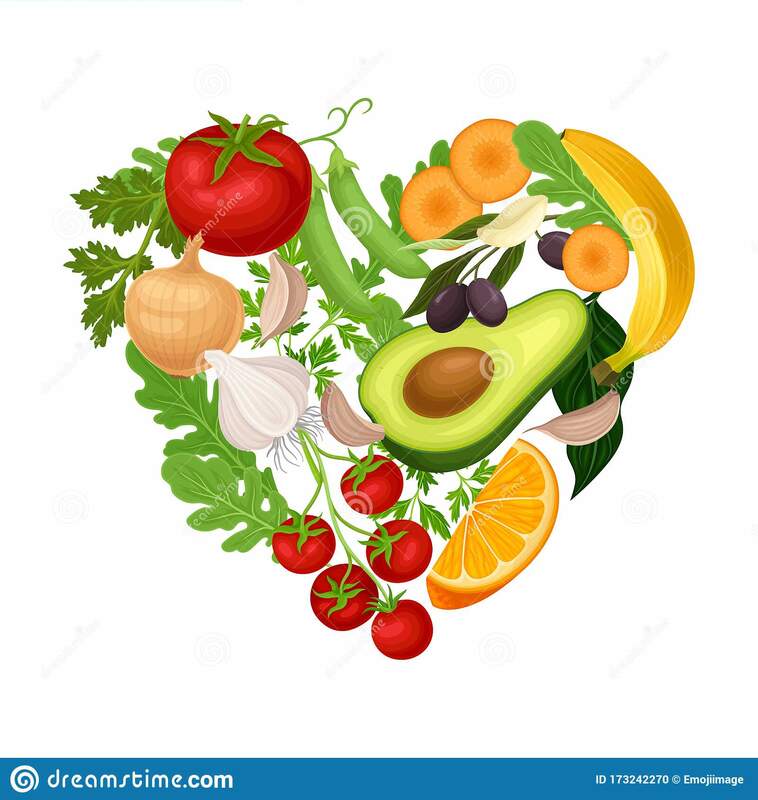 Even those who just adhered to a lacto-ovo-vegetarian diet have been shown 11 to have significantly decreased CVD risk factors, specifically blood pressure, serum cholesterol, and blood glucose levels than those adhering to an omnivorous diet. Another 2013 study 12 examined ischaemic heart disease risk of vegetarians versus non-vegetarians in a large British sample of 44,561 individuals. They found that vegetarians had a lower BMI, non-HDL cholesterol, and systolic blood pressure than the non-vegetarians. When looking at other diabetes risk factors and comorbidities, a 2015 study 13 found that those adhering to a vegan diet supplemented with vitamin B12 had a significantly larger decrease in neuropathic pain 14 than the control group receiving just B12 supplementation. Okay, if you’ve eaten a vegetarian diet from childhood, you are less likely to have developed diabetes; but what if you’ve been stuffing in the eggs and bacon, doughnuts and cream cakes for most of your life – is it too late? Another 2018 study 18 found that adopting a vegetarian diet later on in life can greatly reduce diabetes risk, showing the benefits of using a vegetarian diet in an intervention. Other research studies 19 20 21 show the same positive results of dietary changes later in life. There’s also evidence 22 23 24 25 supporting the suggestion that adopting a vegetarian diet is more effective than at improving diabetes symptoms than traditional medication. Of course, packing in smoking and getting lots of exercise are also significantly important lifestyle factors that can prevent and treat diabetes. They divided diabetic subjects into vegetarian and non-vegetarian groups and found an increase in quality of life and decrease in depressive symptoms in the vegetarian group. 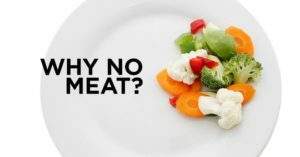 Regarding dietary restraint, the vegetarian group was was able to show an increased ability to resist the ‘temptation’ to eat more food and more unhealthy food than the non-vegetarian group. This study showed that adopting a vegetarian diet has both physical and psychological benefits for T2DM patients. Some vegetarians live on processed foods, crisps, chips and sweets. Some hate all vegetables (except fried white potatoes!) while others eat largely whole plant foods. To examine the differences in type 2 diabetes risk of vegetarians who consume an unhealthy diet (characterised by refined grains, starchy foods, added sugars, low fruits and vegetables) or healthy diet (characterised by whole grains, fruits, vegetable, legumes), a 2016 review 27 categorised the latter as hPDI (a Healthful Plant-Based Diet) and uPDI (an Unhealthy Plant-Based Diet Index) in order to distinguish between healthy and unhealthy plant foods being eaten. The uPDI used the opposite approach. The results were pretty clear: PDI and hPDI were inversely associated with T2DM, and the uPDI was positively associated with T2DM. This shows the benefit of following a vegetarian diet that is high in whole grains, vegetables, fruits, nuts, and legumes in preventing T2DM. 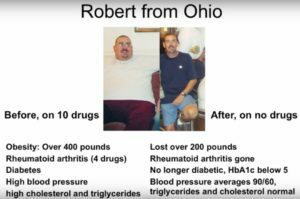 It’s pretty obvious to all reasonable people who’ve done even a bit of research that a significant solution to diabetes (prevention, management and cure) lies in simple dietary changes (as well as dropping the tobacco and picking up the weights instead). If you look online or go to a vegetarian/vegan restaurant and look at what often goes into their recipes you will soon understand what I’m getting at. A quick glance at the menus of one vegan restaurant 28 local to me reveals the potentially unhealthy ingredients and cooking methods that can be both plant-based and unhealthy at the same time – ‘double fried chips and a pot of garlic mayo‘ and ‘Sticky Toffee Pudding served with a caramel glaze‘ will only offer limited assistance, if any, to diabetic customers looking for the healthy alternative to bangers and mash! 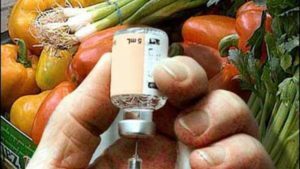 Of course, as evidenced in this review, going plant-based rather than relying on pharmaceuticals is a move in the right direction – but for the greatest protection against diabetes, a non-SOS WFPD has been shown repeatedly in additional research studies 29 30 to trump the more watered-down veggie versions. Sarah Knapton, Science Editor of the Telegraph reported on the Harvard Study which considers that at least one-third of early deaths could be prevented if everyone moved to a vegetarian diet (not even a WFPBD). The following is a summary of the article1 entitled “Third of early deaths could be prevented by everyone giving up meat, Harvard study finds” in the Science section of the Telegraph , 26 APRIL 2018. Recent figures from the Office for National Statistics (( Office for National statistics: Statistical bulletin: Deaths registered in England and Wales (Series DR): 2013 )) suggested that around 24 per cent or 141,000 deaths each year in Britain were preventable, but most of that was due to smoking, alcohol or obesity. But the new figures from Harvard suggest that at least 200,000 lives could be saved each year if people cut meat from their diets. British-born Professor David Jenkins3 , of the University of Toronto, who is credited with developing the glycaemic index 4 also told the conference that the benefits of vegetarianism had been ‘undersold.’ Dr Jenkins said humans would do better following a “simian” diet, similar to lowland gorillas who eat stems, leaves, vines and fruits rather than a “paleo” or caveman diet, which cuts carbohydrates but allows meat. 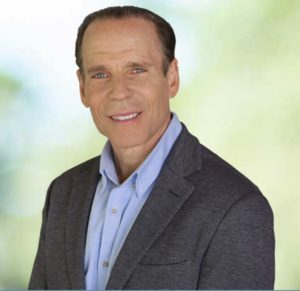 Dr Joel Fuhrman reverses many chronic diseases – not with medications, radiotherapy or invasive surgical procedures like stents, angioplasty or gastric bands – but simply through changing his patients’ diets. He created the Nutritarian diet, an eating plan that incorporates the latest advances in nutritional science. At the heart of this diet is the simple health equation, H=N/C. 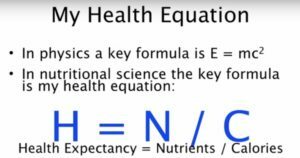 This equation expresses the concept that your health (H) is predicted by your nutrient intake (N) divided by your calorie intake (C). 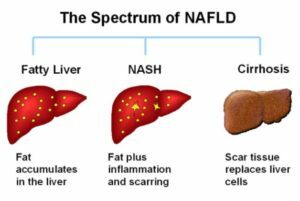 His ANDI (Aggregate Nutrient Density Index) scoring system, which measures the relative nutrient density of common foods, has helped millions of people to eat an anti-cancer, anti-chronic disease diet. The aim is to get as high a score as possible. Each food has a given value of between 0 and 1000 per calorie. If you eat 300 calories of food with low nutritional value (let’s say 100 calories each of white pasta, cheddar cheese and olive oil), as you will see from the chart below, these would have individual ANDI values per calorie of 11, 11 and 10 respectively. Add these together and you get 32. Multiplying by 100 calories (the amount of each consumed) gives 3200. Divide this by 300 (the total number of calories) and you get a total ANDI score of 10.7. If, however, you eat 300 calories of food with high nutritional value (let’s say 100 calories each of sweet potato, tomato and kale), these would have individual ANDI values per calorie of 181, 186 and 1000 respectively. Add these together and you get 1367. Multiplying by 100 calories (the amount of each consumed) gives 136700. Divide this by 300 and you get a total ANDI score of 455.7. Basically, the higher the score, the healthier the food. 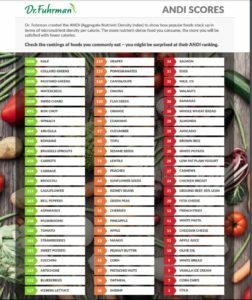 Have a look below and see how popular foods stack up in terms of micronutrient density per calorie. The more nutrient-dense food you consume, the more you will be satisfied with fewer calories. 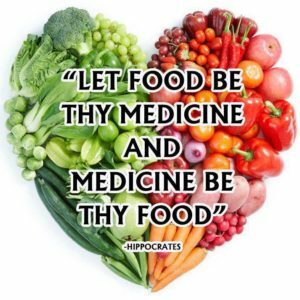 So can diet really reverse diseases? And if so which diseases? Obesity, rheumatoid arthritis, hypertension, cholesterolemia. 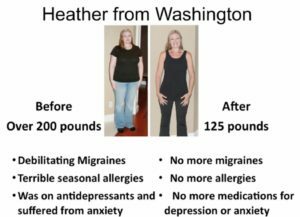 Migraines, seasonal allergies, depression, anxiety, insomnia, menstrual pains. Heart disease (no longer needed angioplasty), cholesterolemia, hypertension, obesity. Triple vessel heart disease, (no longer needed stent replacement & angioplasty), hypertension. 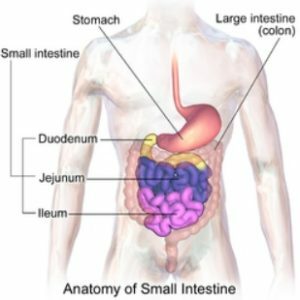 Dr. Fuhrman coined the acronym G-BOMBS (Green Beans Onions Mushrooms Berries & Seeds) to represent those foods he considers are the immune system’s “special forces” – inhibiting fat storage, preventing cancer and prolonging our healthy lifespan. Joel Fuhrman, M.D. is a board-certified family physician, six-time New York Times best-selling author and internationally recognised expert on nutrition and natural healing. He specialises in preventing and reversing disease through nutritional methods. He coined the term “Nutritarian” to describe his eating style, which is built around a diet of nutrient-dense, plant-rich foods. Dr. Fuhrman is the President of the Nutritional Research Foundation. He is also a member of the Dr. Oz Show Medical Advisory Board. He is a graduate of the University of Pennsylvania (Pearlman) School of Medicine (1988) and has received the St. Joseph’s Family Practice Resident’s Teaching Award for his contribution to the education of residents. 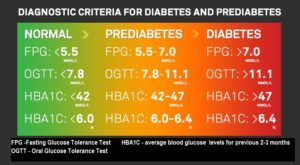 You hear a lot about diabetes, but you possibly do not get detailed information about the actual processes involved in its development, nor about the specific and, frankly, disturbing consequences of living with this debilitating disease. 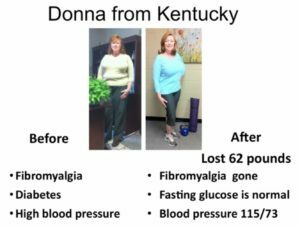 This blog goes into some detail and shows some disturbing photos of the results of diabetes. If you do not wish to see these images, you can contact me for a copy of this blog without any images. 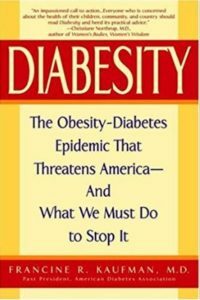 I have a very specific reason for covering this issue in such vivid detail: It is no exaggeration to claim that diabetes, particularly but not exclusively type 2 diabetes, is becoming an epidemic in the western world, and not just starting in middle age, but appearing in younger generations. There is solid and reliable evidence that this is due to the western diet – dependent on animal products, low-fibre, high-sugar and fat processed foods, and deficient in whole plant foods. I will present other articles in defence of this assertion but, for the time being, I want to focus on the disturbing reality of those people who live with diabetes – a largely avoidable chronic disease which has been shown to be both avoidable and reversible by eating a whole food plant-based diet. 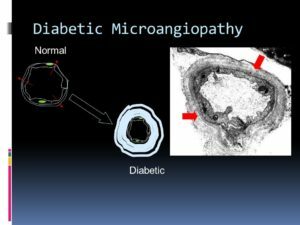 Diabetes mellitus (1.) 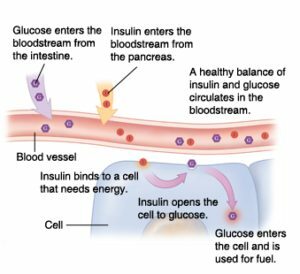 (DM) is caused by complete absence, relative deficiency of, or resistance to the hormone insulin. 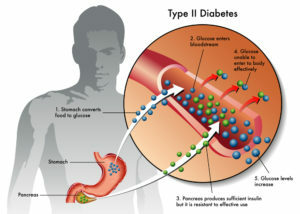 The most common forms of DM are categorised as type 1 diabetes mellitus or type 2 diabetes mellitus. 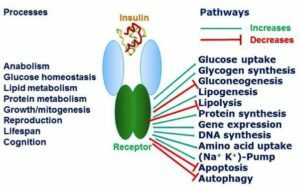 insulin resistance, i.e. 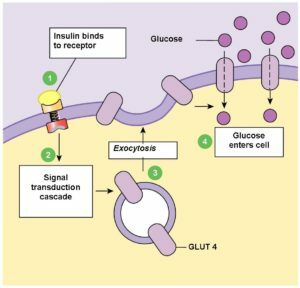 changes in cell membranes that block insulin-assisted movement of glucose into cells. 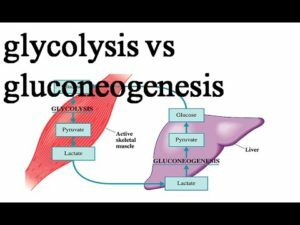 gluconeogenesis (non-carbohydrate glucose production) (3.) from protein, in response to deficiency of intracellular glucose. 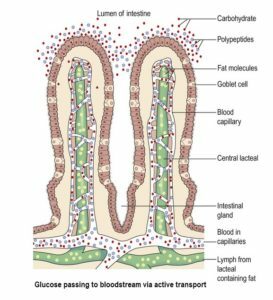 a. Glycosuria results in electrolyte imbalance and excretion of urine with a high specific gravity. b. Polyuria leads to dehydration, extreme thirst (polydipsia) and increased fluid intake. ketosis develops as ketone bodies accumulate. excretion of ketones is via the urine (ketonuria) and/ or the lungs giving the breath a characteristic smell of acetone or ‘pear drops’. ketoacidosis develops owing to increased insulin requirement or increased resistance to insulin. 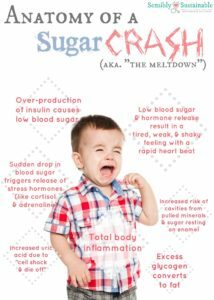 Often serious and fatal consequences for Type 1 diabetes at a relatively early age. This is due to diabetic nephropathy (15.) and is a common cause of death. sometimes to the extent that amputation is required. 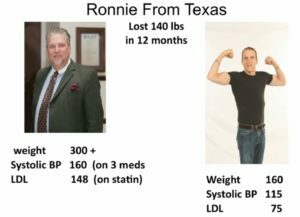 Why risk or suffer from this truly dreadful disease if the most effective prevention and cure (a WFPB diet) has no side-effects other than improved overall health? ” Of or pertaining to honey” – https://en.wiktionary.org/wiki/mellitus. “Any of several compounds that are intermediates in the metabolism of fatty acids” – https://en.wiktionary.org/wiki/ketone_body#English. 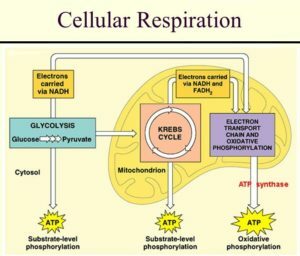 “A metabolic state in which the body produces ketones to be used as fuel by some organs so that glycogen can be reserved for organs that depend on it. This condition occurs during times of fasting, starvation, or while on a ketogenic weight-loss diet” – https://en.wiktionary.org/wiki/ketosis. 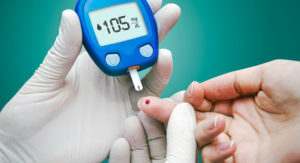 “A severe form of ketosis, most commonly seen in diabetics, in which so much ketone is produced that acidosis occurs” – https://en.wiktionary.org/wiki/ketoacidosis. “A state of decreased blood volume” – https://en.wiktionary.org/wiki/hypovolemia#English. “An abnormally low concentration of sodium (or salt) in blood plasma” – https://en.wiktionary.org/wiki/hyponatremia#English. “The condition of having an abnormally low concentration of potassium ions in the blood” – https://en.wiktionary.org/wiki/hypokalemia#English. “Angiopathy of the larger blood vessels” – https://en.wiktionary.org/wiki/macroangiopathy. “Angiopathy of the small blood vessels” – https://en.wiktionary.org/wiki/microangiopathy. 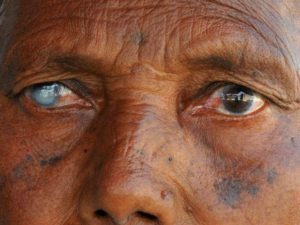 “Non-inflammatory disease of the retina” – https://en.wiktionary.org/wiki/retinopathy. “Damage to, disease of, or abnormality of the kidneys” – https://en.wiktionary.org/wiki/nephropathy. “Any disease of the peripheral nervous system” – https://en.wiktionary.org/wiki/neuropathy. “A fungal infection of any of the Candida (yeast) species” – https://en.wiktionary.org/wiki/candidiasis. Also called “thrush”. “An ascending urinary tract infection that has reached the pelvis of the kidney” – https://en.wiktionary.org/wiki/pyelonephritis. Main source of material: Waugh, Anne; Grant, Allison. Ross & Wilson Anatomy and Physiology in Health and Illness E-Book (p. 236-8). Elsevier Health Sciences. Kindle Edition.